Google provides an easy way to integrate a to-do or task list with your Google Calendar by using Google Tasks. You can use Tasks not only in Google Calendar but also in Gmail and directly from your Android device. Open Google Calendar, preferably with the Chrome browser, and log in if asked. Click the Tasks icon from the sidebar on the right-hand side of the window. If you don't see the Tasks link but see something called Reminders, click the small menu to the right of Reminders and then choose Switch to Tasks. Click Add a task and then start typing to add a new task in Google Calendar. Managing Google Tasks is pretty straightforward. Choose a date in the properties of the task to add it directly to your calendar. Reorder the tasks in the list by clicking and dragging them up or down in the list. When a task is complete, put a check in the circle to the left of the task to categorize it into a Completed section. To edit a Google Task from Google Calendar, use the pencil icon. From there, you can add a description, change the due date, and move it to a different task list. To keep track of work tasks and home tasks, or tasks within separate projects, you can create multiple task lists in Google Calendar. Click your current list from the top of the task window, and then click Create new list. You can also switch between your different Google Tasks lists from this menu. With Android 4.1 Jelly Bean and newer versions, you can create quick reminders by asking Google Now. For example, "OK Google. Remind me to book a flight to Michigan tomorrow." Google Now responds with something to the effect of, "OK. Here is your reminder. Tap Save if you want to keep it." The reminder is saved to your Android's calendar. You can also create reminders directly from your Android's Google Calendar, and you can set "goals." 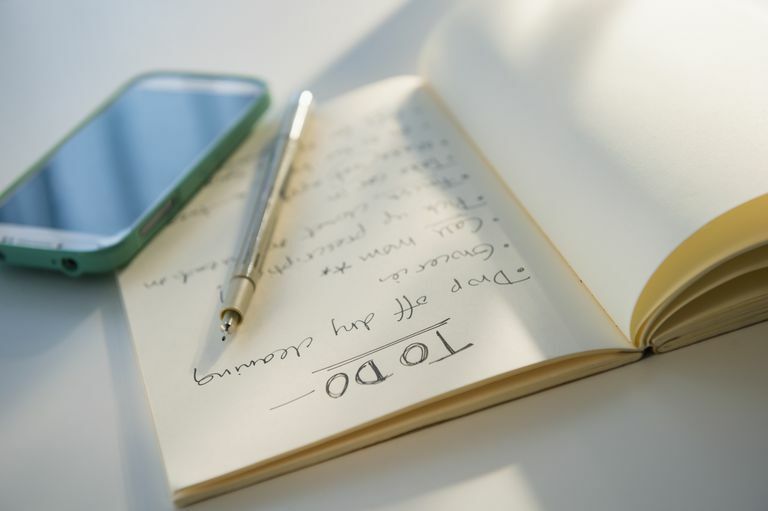 Goals are regularly scheduled times set aside for a specific task, such as exercise or planning.